Vote forHeron Island, QLDTop Island Destinations Which are Australia's must-visit destinations? You help us decide. The biologically-important and beautiful Heron Island, located around 80km off the coast of Gladstone, is a coral cay draped in a diverse amount of vegetation and famed for the birdlife from which it derives its name. As part of the Great Barrier Reef's southern portion, Heron Island is widely regarded as having some of the best island-adjacent reef of any developed island in the entire reef network - and is perhaps is the best overall snorkelling spot as a result. This is an island where visitors don't have to compromise on reef quality when wanting an island stay; a natural paradise, Heron Island is popular amongst visitors due to its ease of accessibility with daily boat services and sea plane transfers available to guests. The island is densely vegetated and fringed by quality reef, making for a wonderfully colourful green-and-blue environment that's quite the visual contrast. Heron Island is small enough to walk around in 20 minutes, yet it has everything guests could wish for on-island: a restaurant (Shearwater Restaurant) to satisfy healthy appetites, a deep resort swimming pool backing onto a bar (Baillie's Bar) and an abundance of wildlife that will truly amaze. Turtles return year after year to lay their eggs and guests can gather just outside their rooms (particularly the Beachside Suites) to watch the hatchlings make their way to the water. Its signature Herons and individual species blanket the island with numbers that swell upwards of 200,000 during peak season; as a result, nesting season sees the island's resident human population well outnumbered by birds. The island's “twitchers list” (available from the information centre) lists no fewer than 19 birds; two of which (the Black Noddy and the Wedge-tailed Shearwater) visit annually from October to March to breed. The island serves as a massively attractive place for nature lovers in general, too, with Green Sea and Loggerhead Turtles nesting in November and hatching throughout the year in addition to its diverse range of birdlife. The island is situated on the Great Barrier Reef, which means visitors can snorkel right off the island. Scuba divers come back again and again to fully discover the 20 dive sites that are just minutes off the island, as well. For aspiring family visitors Heron Island runs a kids club “Junior Rangers”, which accommodates children aged 7 to 12 years and where children can be entertained while the adults relax. Its various offerings in terms of wildlife, marine environment and accommodation make Heron one of the most intriguing islands in the entire Great Barrier Reef portfolio. Looking to pay a visit to Heron Island but not sure what to do? Here are some of its most essential experiences. What's new on Heron Island? The island featured exenstively in Sir David Attenborough's "Great Barrier Reef" documentary produced by the BBC and showcased its birdlife in wonderful fashion. The island's resort was purchased by a Canadian hotel group with aims to reinvigorate the island resort and lure more visitors. 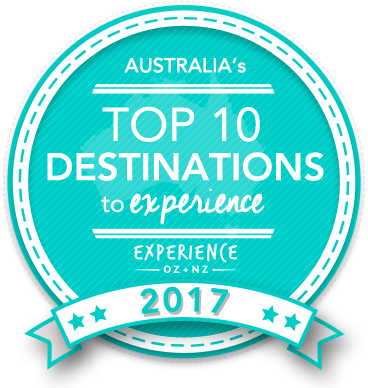 Is Heron Island Australia's Top Island Destination to Experience for 2017? Vote now for the chance to WIN an epic trip to one of Australia's top destinations!